Our October general meeting is on Wednesday October 24 at 4 pm in Goodman School of Business (of all places at Brock..) room number 408. Hopefully both elevators are already working. Otherwise use the one in the new addition since the Taro building elevator has been our of service for a few weeks. For special accommodation and coverage of child care, lease email the union prior to the meeting. And all you the member want to discuss – bring it to the GMM. Heads up: in November we will be electing members to UNIT 1 BARGAINING COMMITTEE- five members to represent Unit 1 in collective agreement negotiations in the upcoming year. Look at article 12 of our bylaws for details. 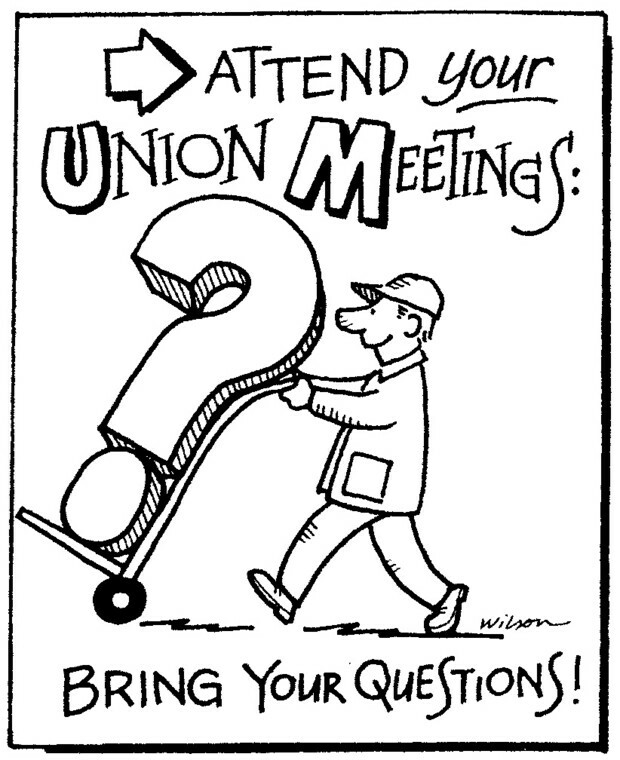 (b) The Bargaining Committee for Unit 2 shall consist of three members elected at a General Membership Meeting, as well as the President of the Local. The CUPE Representative assigned to the Local shall be a non-voting member of the Committee and shall be consulted at all stages from formulating proposals, through negotiations, to contract ratification by the membership. In the event of a vacancy, the Vice-President Unit 2 shall be appointed to the committee. Only members in good standing of Unit 2 shall be eligible to run for these positions. Membership Meeting, as well as the President of the Local. The CUPE Representative assigned to the Local shall be a non-voting member of the Committee and shall be consulted at all stages from formulating proposals, through negotiations, to contract ratification by the membership. In the event of a vacancy, the Vice-President Unit 3 shall be appointed to the committee. Only members in good standing of Unit 3 shall be eligible to run for these positions. (d) The elected members shall be elected at a general meeting not later than nine (9) calendar months previous to the expiration of any Collective Agreement. (e) Only members of the unit may participate in the election of bargaining members for said unit. For the purpose of clarity, only members of Unit 1 are eligible to vote for members of the Unit 1 bargaining committee. There shall be a member of the bargaining committee who is both a graduate student of Brock University and member of CUPE 4207 (known as the graduate student bargaining committee member). If there is no graduate student bargaining committee member and there is no alternate to replace them who can become a graduate student bargaining committee member, then an election shall be called pursuant to the bylaws. 12.2 Development and Approval of Proposals: The Bargaining Committee shall develop and present bargaining proposals to the membership for approval. 12.3 Responsibilities of the Bargaining Committee: The Bargaining Committee is responsible for bargaining with representatives of the Employer. The Bargaining Committee will also make recommendations to the Executive Committee regarding application for conciliation and mediation, the timing of strike votes, and the nature of strike action. The Bargaining Committee will report regularly to the membership, Stewards’ Council and to the Executive. 12.4 Ratification: In the event that the Bargaining Committee tentatively accepts a Collective Agreement, it shall be presented to the membership for ratification at a special membership meeting to be held with at least 24 hours notice. Only members of Unit 1 shall be eligible to vote in a ratification vote for the Unit 1 collective agreement. Only members of Unit 2 shall be eligible to vote in a ratification vote for the Unit 2 collective agreement. Only members of Unit 3 shall be eligible to vote in a ratification vote for the Unit 3 collective agreement. 12.5 Signing Authority: Any Collective Agreement entered into on behalf of the Local shall be signed by the Bargaining Committee. Committee shall become the Strike Committee. (a) Each member of the Bargaining Committee shall be paid a stipend of $200 each month, beginning in the month in which the committee is elected and ending in the month in which bargaining ends. (b) The release of the above stipends is contingent on the member providing all relevant and necessary financial information to the local, in a timely manner, required for the effective processing of payroll. This may include, but is not limited to, the full legal name, the mailing address, and the social insurance number, of the member. 12.8 Bargaining Committee Training: Following the election of the bargaining committee, but before notice to bargain is provided, the union shall arrange for in-house CUPE Education on “preparing to bargain,” “bargaining skills,” and “note-taking.” All members of the bargaining committee shall be required to attend this training session.